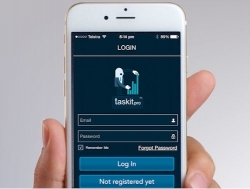 RACI Change Manager announces a new feature package for its TaskitPro software and mobile application. Minden, NV, September 29, 2015 --(PR.com)-- CEO of RACI Change Manager, Michael Carew announced today the launch of the new TaskitPro software and mobile application feature package for the trades and services industry. Enhancements to the TaskitPro application include notifications and alerts, and expanded functionality. TaskitPro also released a “Detailed report” function with project, task, time and date filtering, which enables detailed reporting across every project, task and user. See more here. To fully evaluate the features of TaskitPro visit their website at www.taskitpro.com. VIPG a Melbourne based services company specialized in the provision of electrical and plumbing services in the commercial and domestic sector Melbourne Australia.